The Islamic news portal Saff published an article claiming that Edin Gačić was not a member of the El Mujahedin Order. Moreover, the portal gloats over a supposed register in their possession of all members of the above-mentioned Order, which embraced thousands of domestic and foreign terrorists, murderers of BH civilians. The state of Bosnia and Herzegovina is not in possession of such a list, which poses a question whether Bosnia and Herzegovina is a state at all, given that news portals working on the advancement of Islamic propaganda acquired safety information which neither the Ministry of Safety nor Ministry of Defence of Bosnia and Herzegovina possess. It is a little-known fact that the Deputy Minister of Defence, Emir Suljagić, was until recently an employee of the Embassy of Iran in Zagreb. Although Suljagić does not hesitate to publically voice his opinion via Twitter on a variety of issues, he yet remains to be heard regarding the matter of this particular homicide. 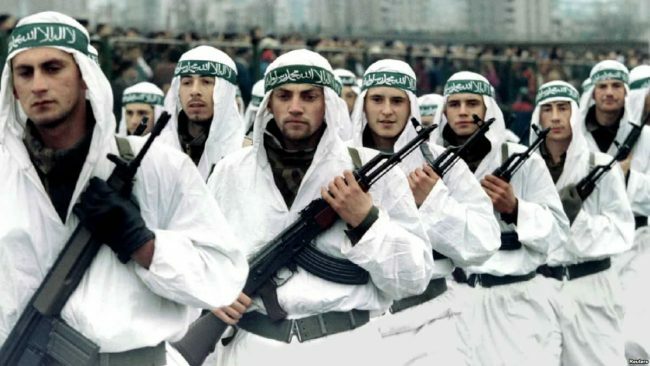 Why would our Ministry of Defence comprise a register on Iranian warriors in Bosnia and Herzegovina, former fighters of the El Mujahedin Order, if those working in the Ministry were former employees of the Iranian Embassy themselves? Does Bosnia and Herzegovina not have a structural procedure in place to address the concern of erstwhile staff members of foreign embassies, delegations of countries who so severely and shamelessly meddled in the 90’s war, cannot pursue recruitment within the highest of security systems? However, the mere number of BH media outlets reporting on this piece specifically emphasized the fact that the killer was a member of the El Mujahedin Order, clarifying that his mercenary membership does not equate to all Bosniaks. This poses a question of Saff’s nature of intent to interlink Bosniaks with mujahedins, and further sheds light on their distorted propaganda against both Serbian and Croatian news outlets. Was it not enough for BH courts ruling against several members of the Order enough to paint the picture that Bosnia and Herzegovina will not pity them? Furthermore, aren’t more indictments on the way? 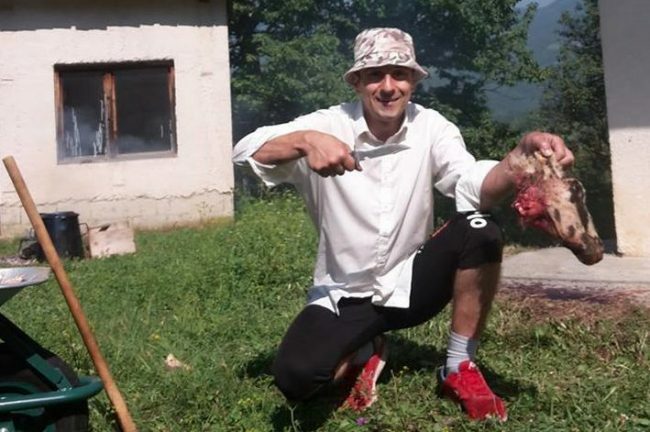 According to Saff, Gačić was not an active member of the Order, which committed gruesome murders against Croats in Dusina, Uzdol and Grabovica or Serbs in Ozren, using decapitation techniques similar to the ones of the Islamic State, however, he did get in touch with one of their members. It seems as if, whilst covering a horrid triple murder, this obscure and dubious news portal only cares about retaining a ‘’good and respectful public image of the famous Order’’. This makes us question the kind of country Bosnia and Herzegovina is growing into. Any and every comparison of the El Mujahedin Order with ISIS is met with loud, persistent, fierce and excessive bickering, simply because one is speaking about an awarded Order, an otherwise known ticket to citizenship based on the so-called ‘’merits for defense against aggression’’. Thus, yesterday Emir Suljagić went on to post a status putting a target on the head of a certain someone, skillfully hidden behind veils of mystery in a postmodernist verdict. A hunt in plain sight. In a clear intent to stop attacks against the El Mujahedin, denying well-established comparisons, a granted free speech right under the BH constitution, saying that the Croatian Defence Council fought against ISIS predecessors. Such statements would undoubtedly get recognition from media outlets, had they ever been uttered. This is, however, not a case of notorious hate speech, but nothing less than a call to arms, in which the Ahmići crime levels to any ISIS crime. Hence, it is used as a means to fuel the machine of the new evil, doubtlessly prevailing in fatal consequences for his target. The tweet was massively recognized by likes and retweets. The purpose behind the statement was nothing if not explicit, obvious, straightforward and transparent: I will perceive any transgression against the El Mujahedin as a claim that the babies of Ahmići as a precautionary measure against ISIS, publically calling it out as such. Naturally, neither the State Investigation and Protection Agency nor the Ministry of Defence will bring Suljagić in for interrogation, critically falling short of investigating whether such an individual, as described per Suljagić, even exists and if so, who are they. Such blunders inducing negligence regarding online hate speech jeopardize the well-being of BH citizens, alongside their constitutional right to free speech. By all means, this is a country-wide interest. The Ministry of Defence is not going to bring Suljagić in for questioning. Obviously, he is their former employee, as well as of the Iranian Embassy. Minister Pendeš (Croatian Democratic Party) is obliged to stroll with Komšić, delivering extensive interviews whilst her prior deputy widely spreads hate speech online to all who dare equate the El Mujahedin Order and ISIS. Continuing to walk in the well-established footsteps, as he did while serving in the very same position, he has never been charged with the criminal offense of misconduct. Why would Pendeš condemn an affiliate of Komšić? After all, she is blindly fixated on advancing her career. The fact that her deputy is merely concerned with proliferating out-in-the-open threats and extensive slandering during work hours, all the while Pendeš seems to not be interested in the slightest. She merely acts as a Croatian response in the objective of vote-grabbing, simultaneously be-friending Komšić. Keeping in mind the indisputable fact that the El Mujahedin Order was, in fact, ISIS, it also has to be recognized by Croats that the killers of Ahmići were Christian ISIS. As a national disgrace, they were also the greatest failure of the Croatian Council of Defence. It is only that such an attitude can help us in moving forward while confronting our heinous slaughters and create reconciliation and eventual coexistence. In order to achieve this, it is an absolute imperative for all supporters of Safet Oručević and Emir Suljagić step down from the public scene. One piece of information which can be of utmost interest to the security agencies in BiH, as well as the US Embassy, is that the official biography of Emir Suljagić does not contain any data on his employment in the Embassy of Iran. Surely that would bring no shame to an honest man. Important to note, perhaps, is the finding that his employment came to be by means of the influence of the current mufti, Aziz Hasanović, at the beginning of the post-war period. For reference, Hasanović is Suljagić’s uncle, harboring the image of a non-radical, or fashionably said, a moderate individual residing in Zagreb.